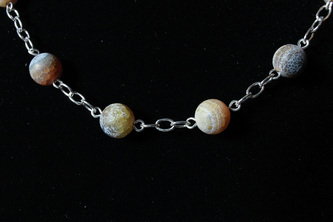 This necklace will take you out of this world. 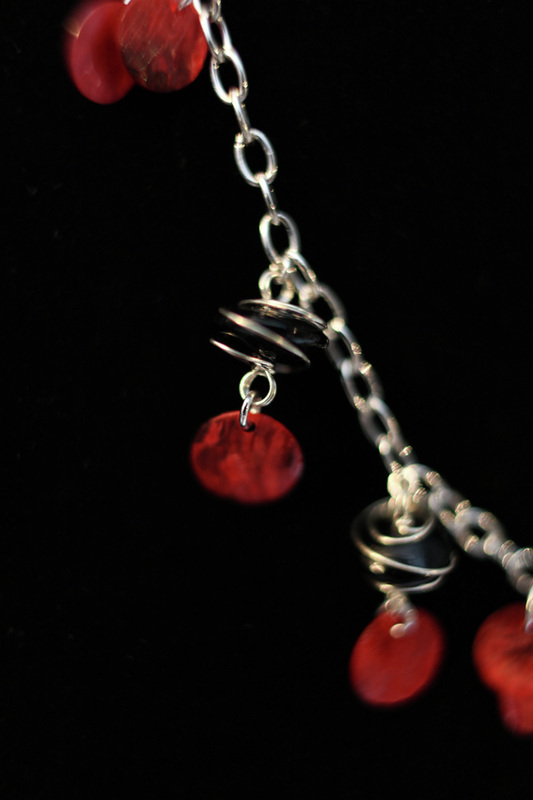 Cast a spell on someone you love. 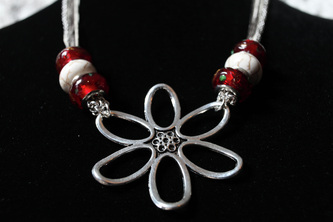 Crafted with: black wire-wrapped glass beads and round red shells. 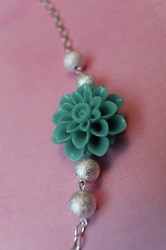 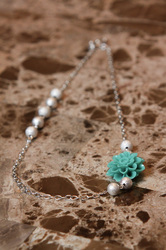 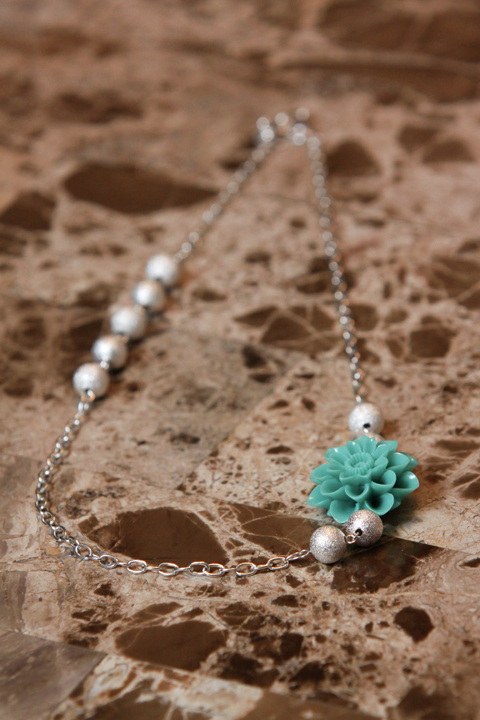 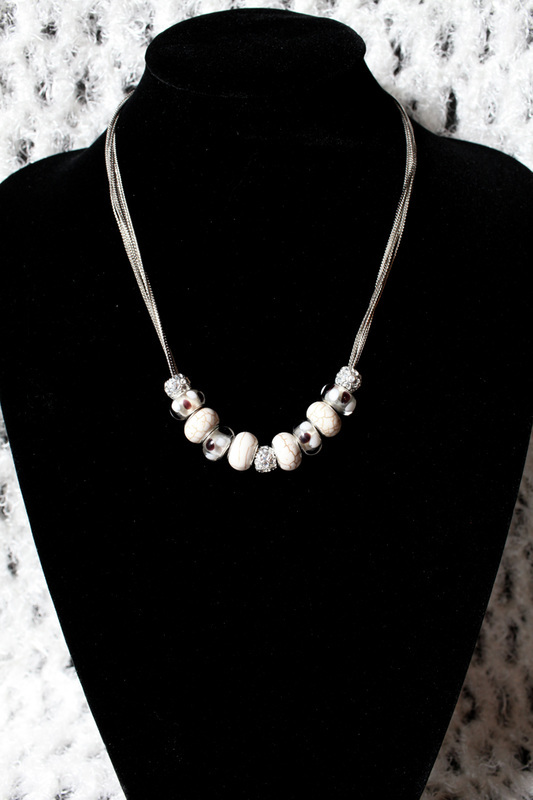 This versatile necklace can be dressed up or dressed down. 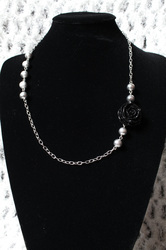 It's your mood, your night out, your necklace. 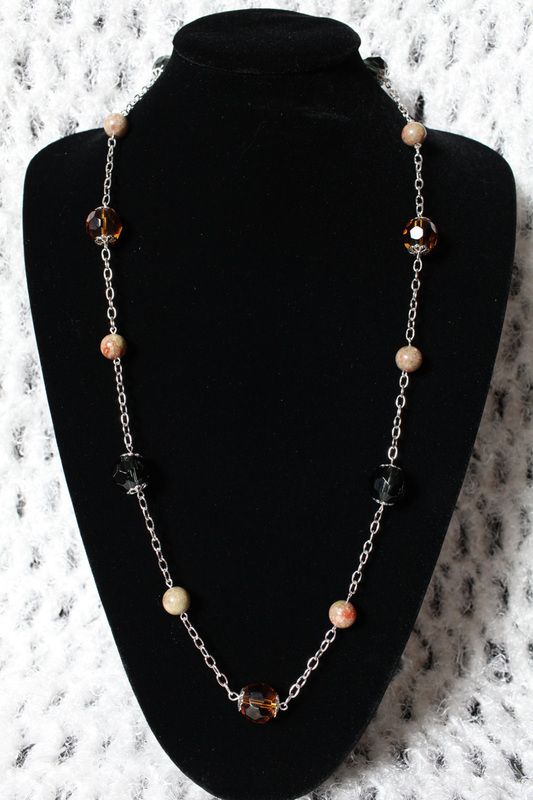 Crafted with: black and yellow/topaz faceted glass beads and light brown jasper stones. 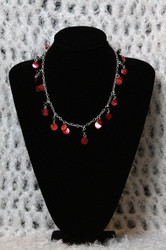 Flirty, romantic, fun, all eyes will be on you. 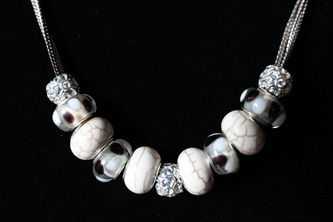 Matching earring/bracelet convertible and ring available. 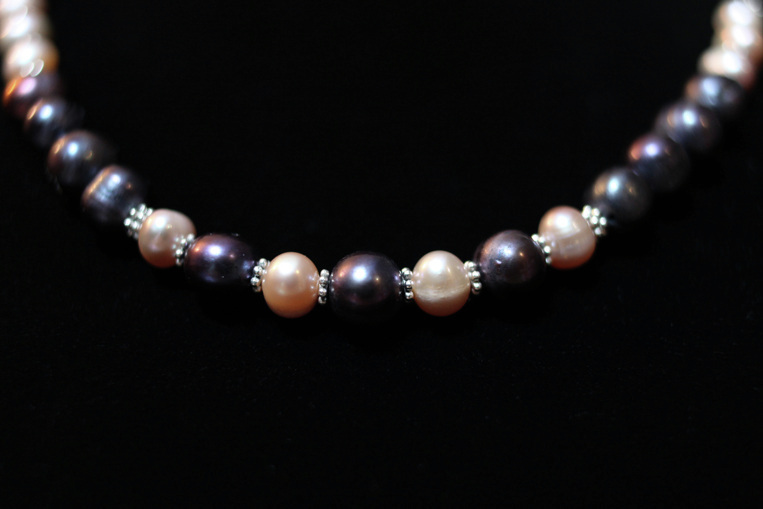 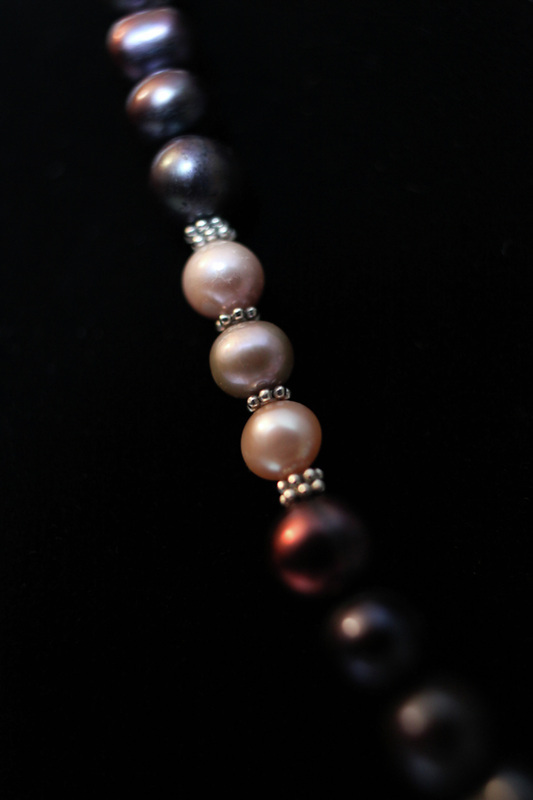 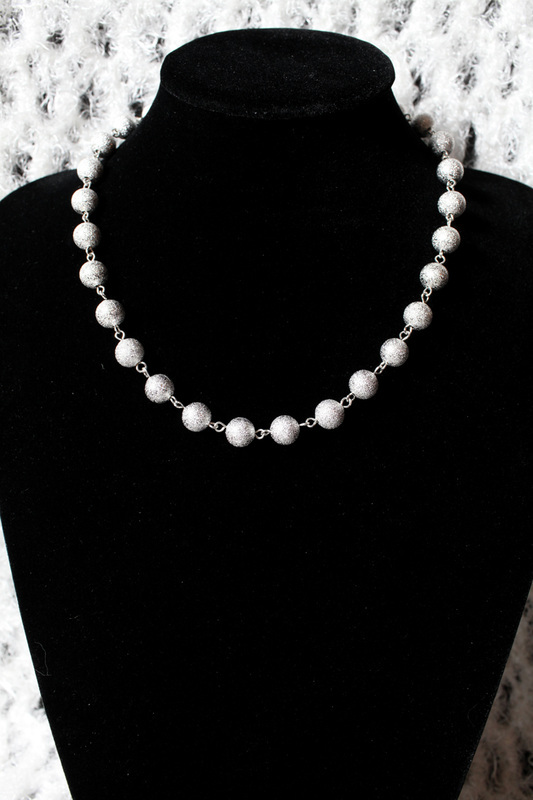 If you love pearls, you'll love this necklace made with the Goddess of Love in mind. 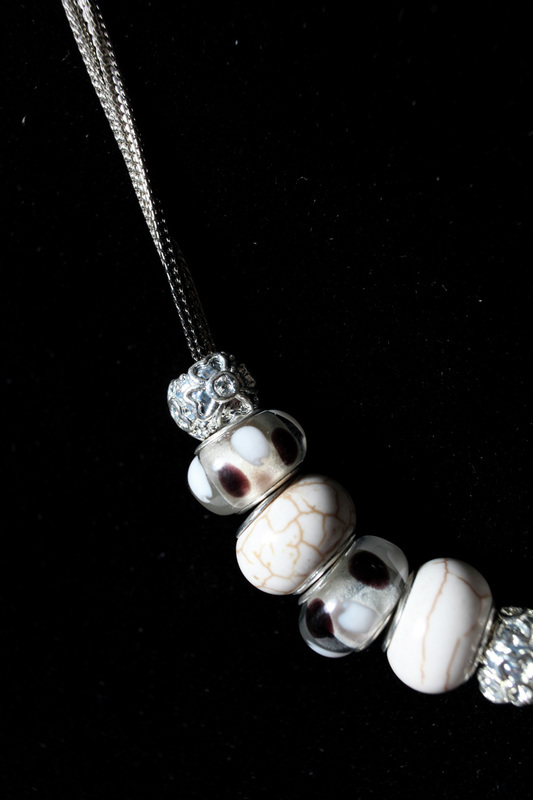 Wear it long or short, you make the call. 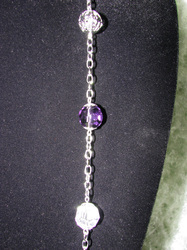 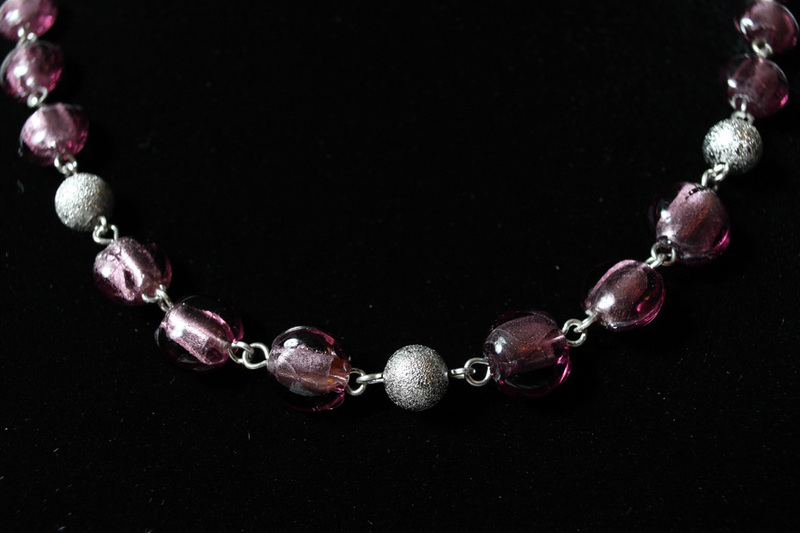 Crafted with: black, purple, and clear faceted glass beads, silver-plated filigree beads, and grey jasper stones. 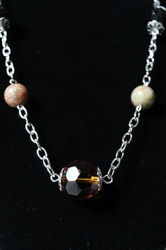 Celebrate the night with this sparkling wine necklace. 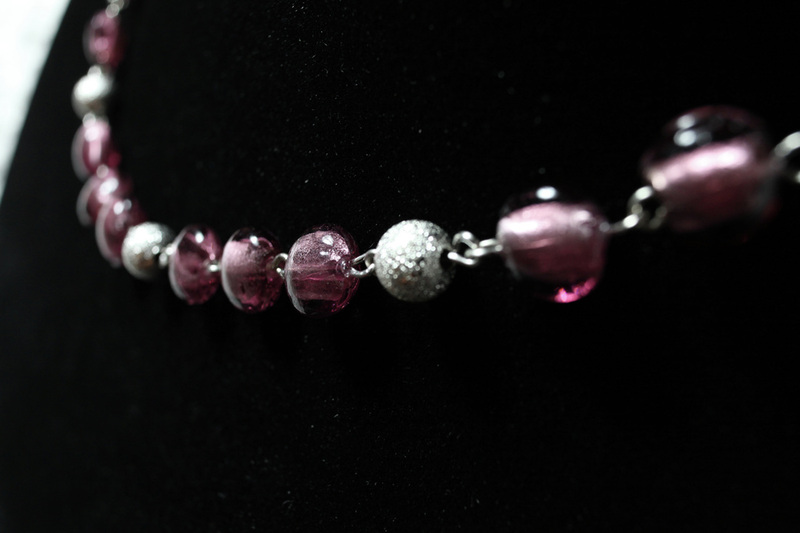 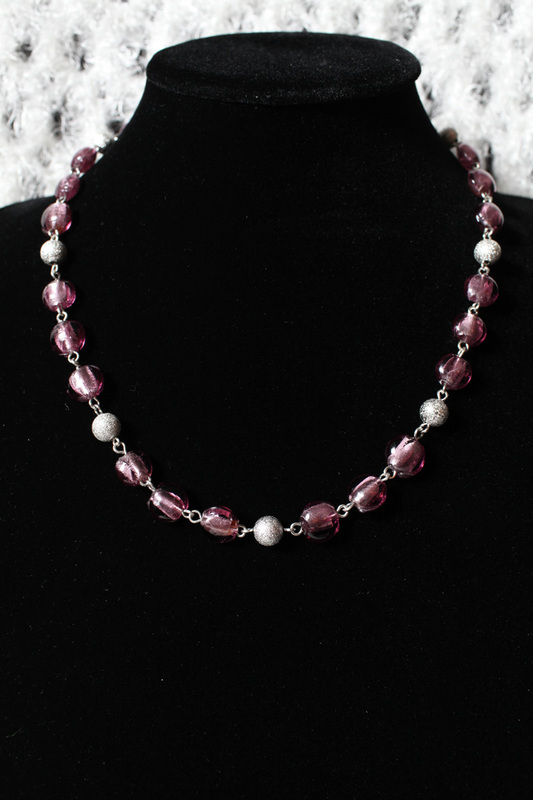 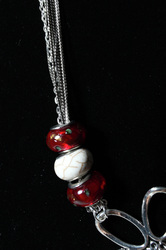 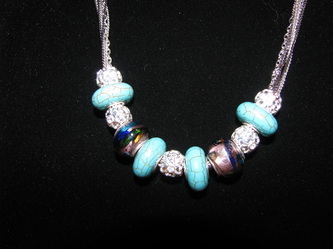 Crafted with: wine foil venetian glass beads and silver-plated shimmery round beads. Show your sparkling personality with this beautiful glittery necklace. 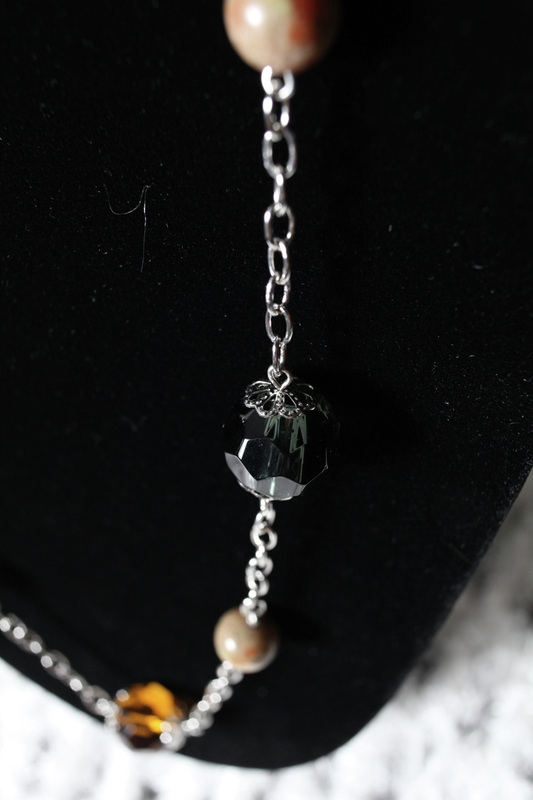 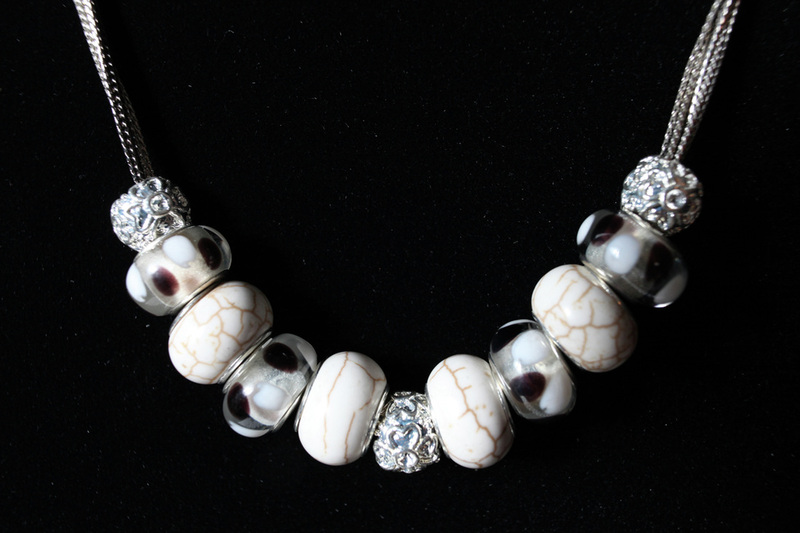 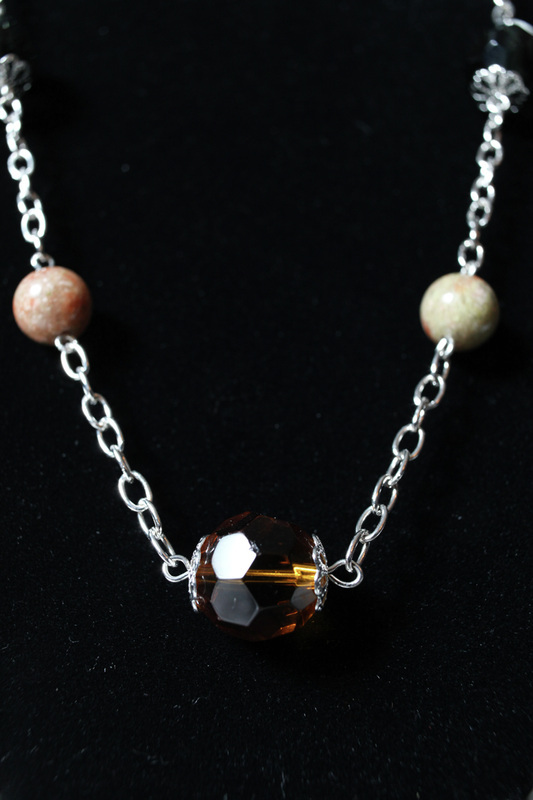 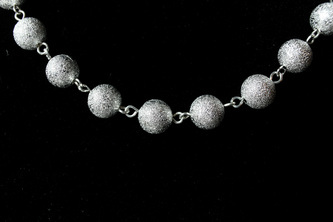 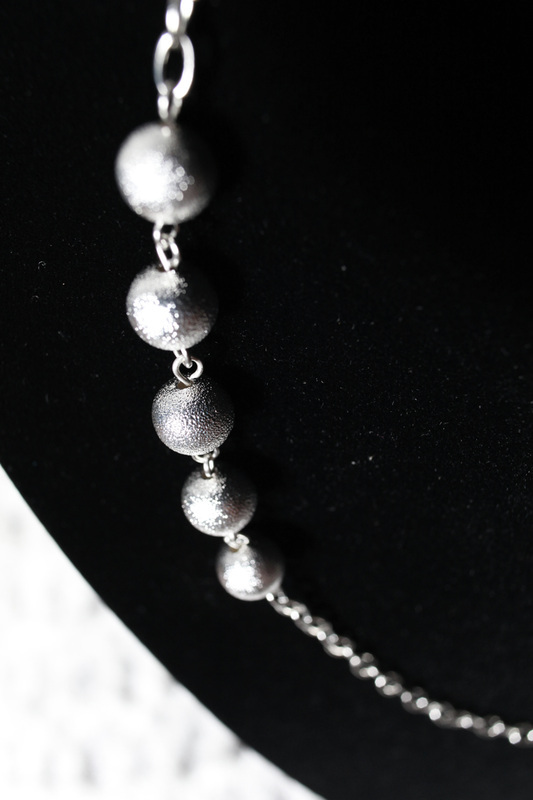 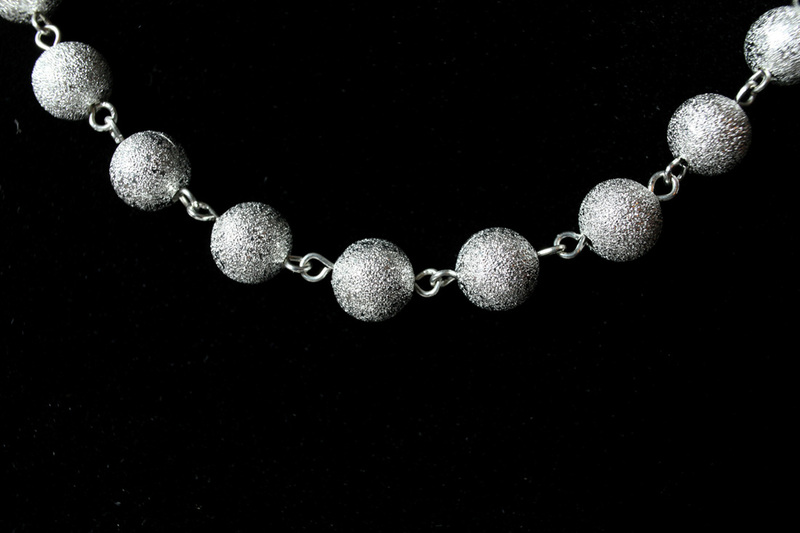 Crafted with: 10mm silver-plated shimmery ball beads. 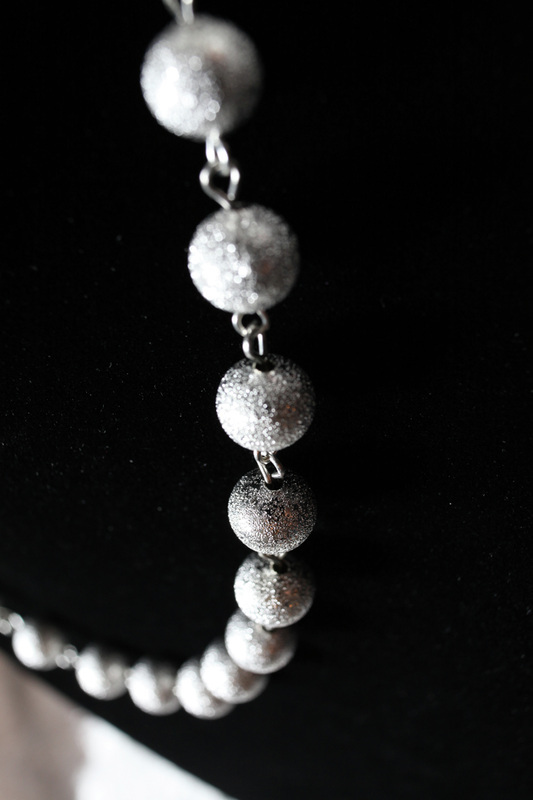 Chic, simple, classy, this multi-chain pandora necklace will be the envy of the crowd. Great to wear long over the sweater for the winter months for a more casual look, or as a double strand necklace with a low-cut top for a more formal/fancy look. 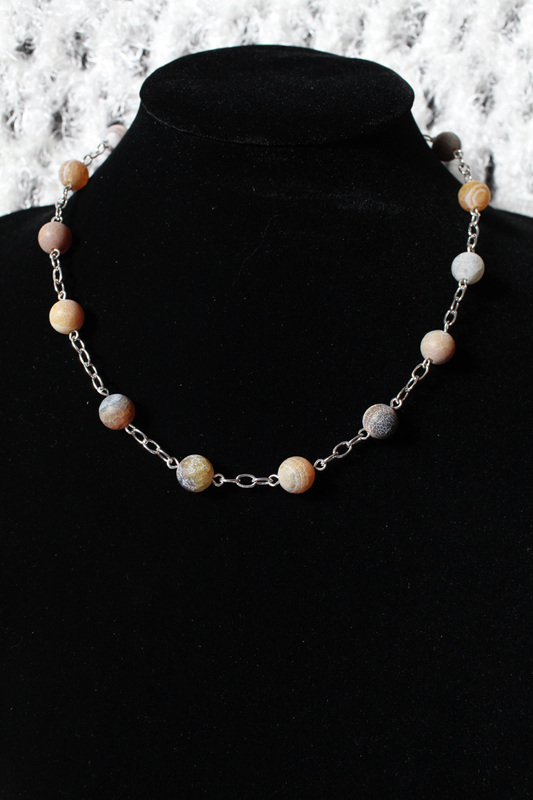 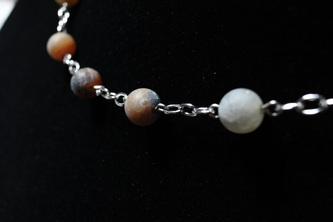 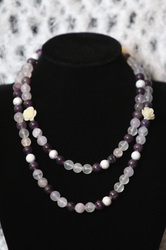 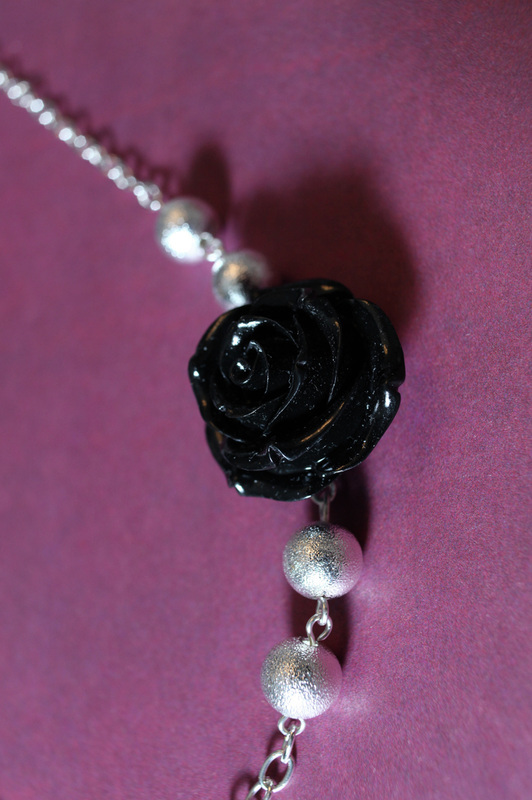 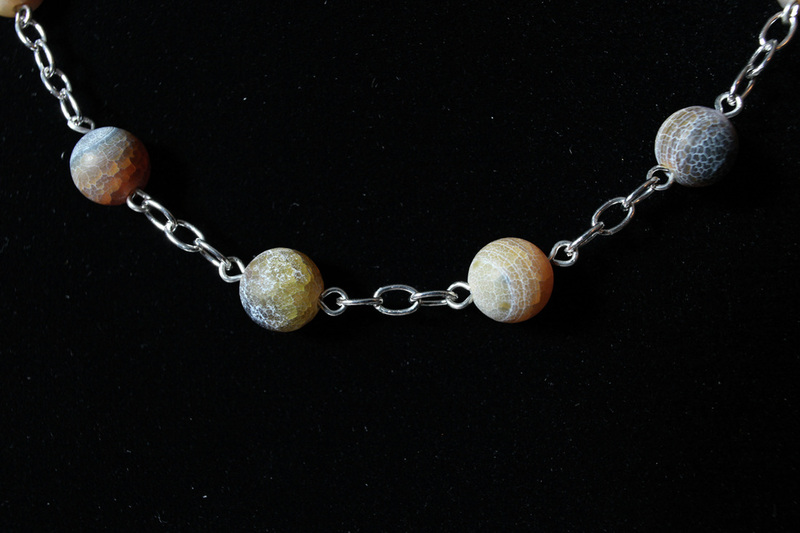 Crafted with: clear and purple jasper stones and white resin roses. 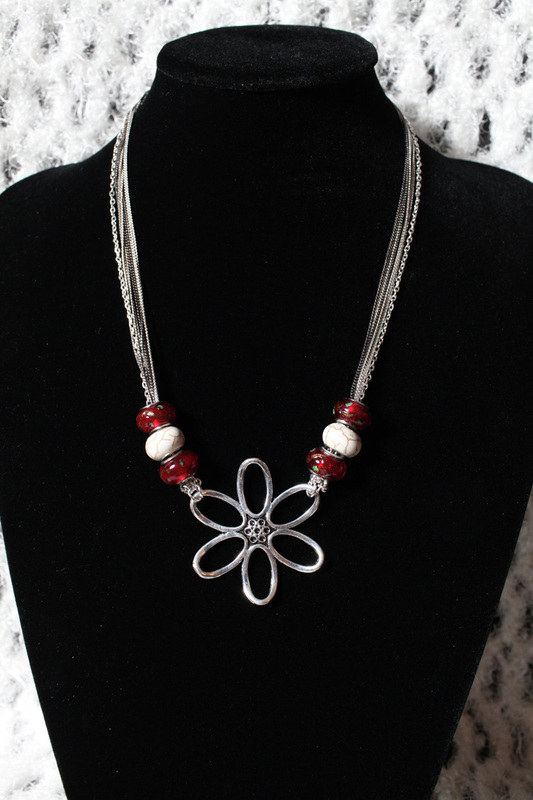 This multi-chain pandora necklace accented with a base metal flower is the talk of the town. 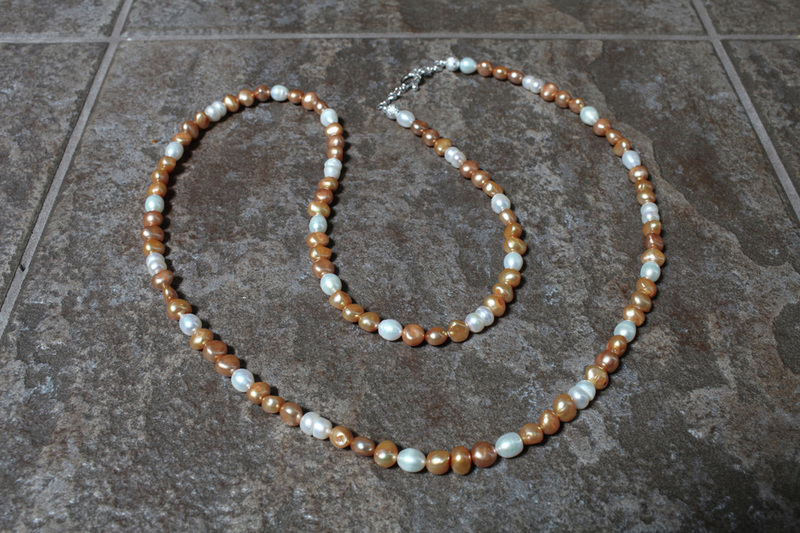 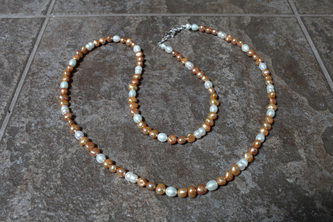 This elegant pearl necklace can be worn shorter as a double strand necklace or long over a sweater.